The competition details will be sent out with homework on Friday 27 September and the closing date is Friday October 4th. There will be one winner per year group chosen who will gain an extra 10 minutes golden time to play on the computers. 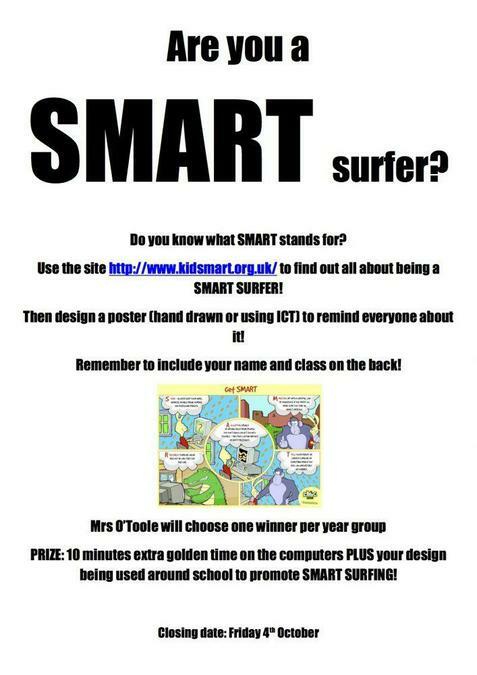 They will also have their poster reproduced and put around the school to remind everyone about being SMART.